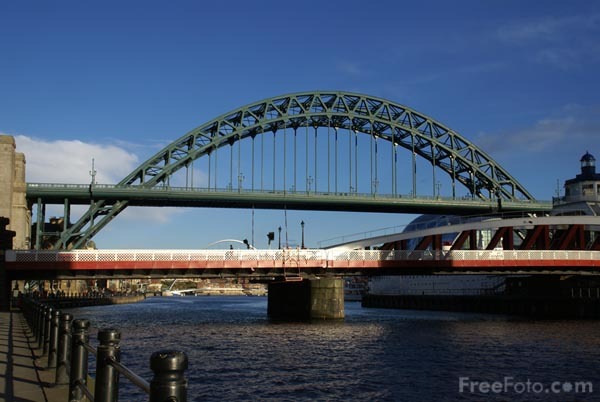 Photograph of the Tyne Bridge in Newcastle upon Tyne. Opened in 1929 by King George V and built by Dorman Long of Middlesbrough, it served as a model for the similar, but very much larger Sydney Harbour Bridge which was also built at Middlesbrough. At that time it was the largest single span bridge in the world, a record it only held for four years due to the opening of the Sydney Harbour Bridge in 1932. VIEW: More images from the category Tyne Bridge, Newcastle upon Tyne or taken at the same location or around the same time .